ICE WaRM is governed by an independently appointed Board of Directors. Karlene Maywald is the Strategic Advisor, International Water Opportunities with the South Australian Government, and the Managing Director of Maywald Consultants Pty Ltd, providing water policy and government relations advisory services. Until May 2015 Karlene was the Chair of the National Water Commission. Karlene was the representative for the seat of Chaffey in the South Australian House of Assembly from October 1997 until March 2010. During her tenure, from 2004 until 2010, she was South Australia’s Minister for Water Security and the River Murray during one of the worst drought periods in living memory. She has a proven, long-standing track record in water management and is passionate about water reform in Australia. Ms Maywald has served on numerous national ministerial councils including the Murray Darling Basin Ministerial Council, the Natural Resource Management Ministerial Council, the Primary Industries Ministerial Council and the Regional Development Ministerial Council.Karlene is a board member of the South Australian Water Corporation, together with related SA Water Board Committees. Judith Bradsen joined the ICE WaRM Board in June 2014. She has 50 years’ experience in both the education and legal sectors with extensive experience in water-related matters. Having retired in December 2016 from her legal practice, Judith now provides occasional consulting services relating to environmental and sustainability subjects. She was a member of the Board of the Water Industry Alliance for several years and served as Chair in 2016. She is a member of the Australian Land and Groundwater Association and a past member of the Planning, Environmental and Local Government Committee of the Law Society of South Australia. Ms Bradsen specialised in environmental, planning and sustainability laws applied to a wide range of public and private sectors. Among other achievements, Ms Bradsen has been recognised for her policy leadership in climate change and air quality. Darryl is highly experienced in the water and energy sectors. Darryl is a Life Member of the Australian Water Association and was the National President of the Association from 2005 to 2007. In 2015 Darryl was appointed as a Fellow of the International Water Association, a Fellow of Engineers Australia and awarded the Professional Engineer of the Year for Engineers Australia – Northern Division. Previously, Darryl was Executive Director Water Directorate, Department of Land Resource Management with the Northern Territory Government and General Manager with the Power and Water Corporation. Darryl Chairs the International Water Association (IWA) – Australian National Committee and has been the Co-Chair of the Programme Committee for the Singapore International Water Week – Water Convention since 2009. Darryl is the Chair of the Industry Advisory Board of the School of Engineering and Information Technology of Charles Darwin University. Rob Skinner is a prominent business leader and academic in the water sector. In 2014 he was made a distinguished fellow of the International Water Association. He is a former Managing Director of the Melbourne Water Corporation, who has also served as a board member of the Water Services Association of Australia. Currently, he is Professorial Fellow and Director of the Monash Water for Liveability Centre at Monash University in Melbourne, Chairs WaterAid Australia and is the Chair of WaterAid International. Rob also Chairs the People and Culture Committee of the Victorian Environment Protection Authority and the International Water Associations Cities of the Future Program Committee. He is Deputy Chair of the Cooperative Research Centre for Water Sensitive Cities and was a member of the Victorian Governments Living Melbourne Ministerial Advisory Council. Previously, he played a key role in developing the Victoria water sector reforms as Deputy Director of the Department of Water Resources, before serving as Chief Executive of the Dandenong Valley and Westernport Authority and Kingston City Council in Melbourne. He is based in Victoria and joined the ICE WaRM Board in early 2015. 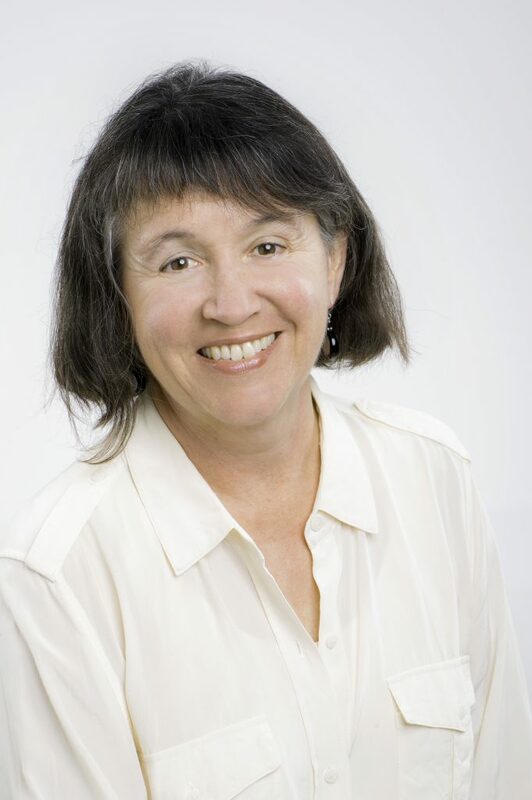 Professor Cynthia Mitchell has a national and international reputation for her transdisciplinary work for economic, environmental, and social sustainability in the water and wastewater sector, with a particular focus on the planning, governance, and management of distributed infrastructure and water and nutrient recycling systems. Professor Mitchell is Deputy Director of the Institute for Sustainable Futures at the University of Technology, Sydney (UTS) and provides high-level advice to government ministers as a member of the Independent Water Advisory Panel in New South Wales that provides strategic and technical advice on urban water planning for the lower Hunter and greater Sydney. 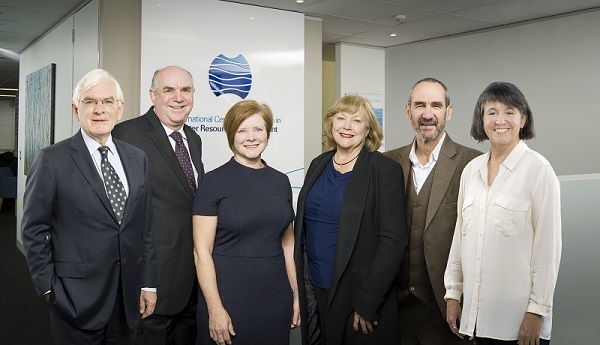 She is also Deputy Chair of SEQ Water’s Independent Review Panel which provides advice on the water security program for South East Queensland (SEQ), reporting to their Board. Professor Mitchell joined the ICE WaRM Board in January 2017. Dr Peter Wallbrink is the Research Director for Basin Management Outcomes, CSIRO Land and Water. This program has an international outlook and aims to deliver impact and value in the area of integrated water resource management. Peter has over 30 years of experience in the Australian water industry, with previous leadership roles in the Catchment Hydrology and eWater Co-operative research centres as well as in various CSIRO institutions. Through these roles and their connection to government, academia and industry, Peter has developed significant relationships and networks within the water industry across Australia. His strong track record of managing projects and building relationships internationally has also allowed him to develop substantial relationship networks with senior ministry and agency officials as well as donor agencies throughout South Asia, including, India, Nepal, Bangladesh and Pakistan. Peter is currently a member of the International advisory Board for Oxford University for their Managing Risks, Impacts and Uncertainties of Drought and Water Scarcity (MaRIUS) Portfolio. He is a member of the Gas Industry Social and Economic Research Association (GISERA) Regional Research Advisory Committee (RAC). Peter was the Australian representative to the International Atomic Energy Agency (IAEA) from 1996 – 2006 for two co-ordinated research projects on the use of nuclear fingerprinting techniques for measuring soil erosion.